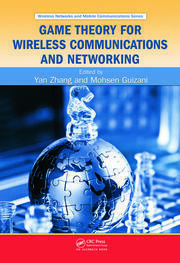 Spectrum Sharing in Wireless Networks: Fairness, Efficiency, and Security provides a broad overview of wireless network spectrum sharing in seven distinct sections: The first section examines the big picture and basic principles, explaining the concepts of spectrum sharing, hardware/software function requirements for efficient sharing, and future trends of sharing strategies. 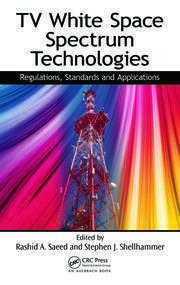 The second section contains more than 10 chapters that discuss differing approaches to efficient spectrum sharing. The authors introduce a new coexistence and sharing scheme for multi-hop networks, describe the space-time sharing concept, introduce LTE-U, and examine sharing in broadcast and unicast environments. They then talk about different cooperation strategies to achieve mutual benefits for primary users (PU) and secondary users (SU), discuss protocols in a spectrum sharing context, and provide different game theory models between PUs and SUs. The third section explains how to model the interactions of PUs and SUs, using an efficient calculation method to determine spectrum availability. Additionally, this section explains how to use scheduling models to achieve efficient SU traffic delivery. The subject of the fourth section is MIMO-oriented design. It focuses on how directional antennas and MIMO antennas greatly enhance wireless network performance. 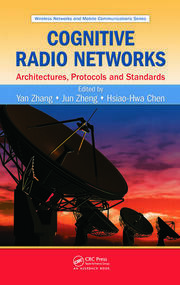 The authors include a few chapters on capacity/rate calculations as well as beamforming issues under MIMO antennas. Power control is covered in the fifth section which also describes the interference-aware power allocation schemes among cognitive radio users and the power control schemes in cognitive radios. 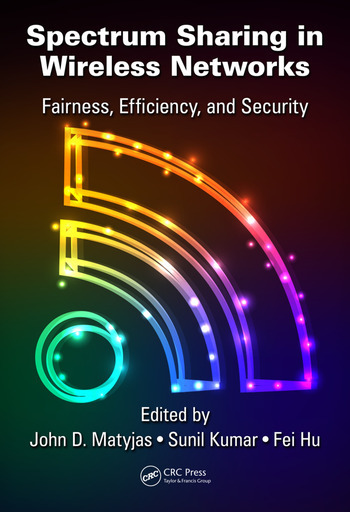 The sixth section provides a comprehensive look at security issues, including different types of spectrum sharing attacks and threats as well as corresponding countermeasure schemes. The seventh and final section covers issues pertaining to military applications and examines how the military task protects its data flows when sharing the spectrum with civilian applications. Dr. John D. Matyjas earned his PhD in electrical engineering from State University of New York at Buffalo in 2004. Currently, he is serving as the Connectivity & Dissemination Core Technical Competency Lead at the Air Force Research Laboratory (AFRL) in Rome, NY. His research interests include dynamic multiple-access communications and networking, software defined RF spectrum mutability, statistical signal processing and optimization, and neural networks. Dr. Matyjas is an IEEE senior member, chair of the IEEE Mohawk Valley Signal Processing Society, and member of Tau Beta Pi and Eta Kappa Nu. He also serves on the IEEE Transactions on Wireless Communications Editorial Advisory Board. Dr. Fei Hu is currently a professor in the Department of Electrical and Computer Engineering at the University of Alabama, Tuscaloosa, Alabama. He earned his PhD degrees at Tongji University, Shanghai, China, in the field of signal processing in 1999 and at Clarkson University, New York, USA, in electrical and computer engineering in 2002. He has published over 200 journal/conference papers and books. Dr. Hu’s research has been supported by the U.S. National Science Foundation, Department of Defense, Cisco, Sprint, and other sources. His research expertise is primarily in the areas of security, signals, and sensors. Dr. Sunil Kumar is currently a professor and Thomas G. Pine faculty fellow in the Electrical and Computer Engineering Department at San Diego State University (SDSU), San Diego, California, USA. He earned his PhD in electrical and electronics engineering from the Birla Institute of Technology and Science (BITS), Pilani, India, in 1997. From 1997 to 2002, Dr. Kumar was a postdoctoral researcher and adjunct faculty at the University of Southern California, Los Angeles. He has published over 130 technical papers in journals/conferences. His research interests include the cross-layer wireless protocols and image/video processing.